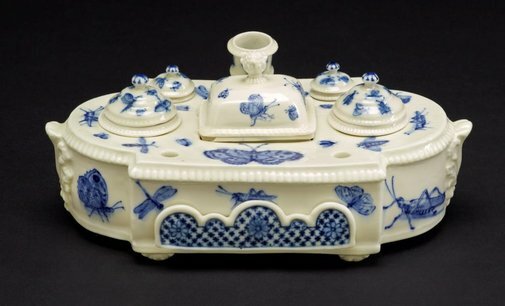 The only recorded example of its kind in Saint-Cloud porcelain, this elaborate inkstand features an inkwell, sand shaker, sponge tray, candle sconce, drawer and other small pots. The decoration of insects in underglaze blue is highly unusual and reflects the enlightenment fascination with all forms of zoology along with the increasing availability of illustrated entomological literature. 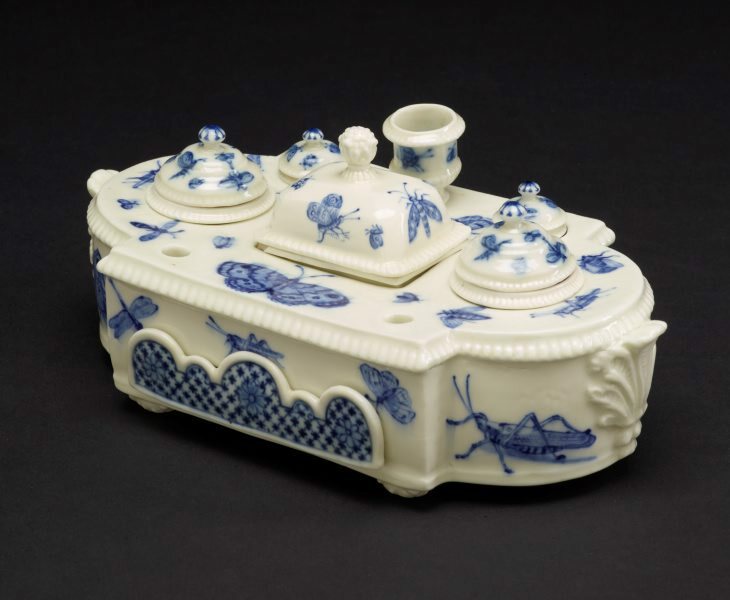 Similar insects are found on a sauceboat in the Musée des Arts Décoratifs, Paris, thought to date c1730–50. Here the rectilinear design, the style of the palmette handles and the diaper pattern on the drawer front all seem to imply a slightly earlier date.